What should you say in a goodbye email? 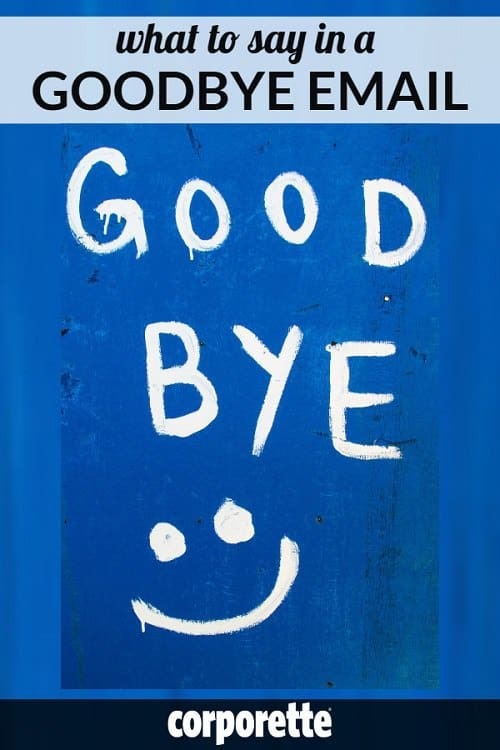 We’ve talked before about what to do with your work email after you quit, as well as how to resign gracefully and have a great exit interview, but not necessarily about what to say in a goodbye email, so today we’re welcoming guest poster Amy M. Gardner to share some thoughts on what to say — and what NOT to say — in your goodbye email at work. Amy is a former law firm partner and law school dean of students, now a certified professional coach working with attorneys at Apochromatik — welcome, Amy! 1. Include where you’re off to next and your contact information. Some people don’t want to share where they’re going or can’t for a set amount of time because of a non-compete. In that case, send connection requests to people via LinkedIn and include only your personal contact information. 2. Express gratitude. Whether you loved the position and employer and are truly grateful or are only grateful it kept you fed and sheltered while you got ready for your next move, an expression of gratitude isn’t deceptive and should be part of your message. 3. Start early so you can proofread, proofread, proofread. Have your friend read it, read it to your dog out loud, etc. (One of my executive coaching clients had me review her last day email “just in case” and my fresh eyes caught that she had the wrong acronym for her new employer.) You want your last message to be professional, competent, and classy — just like you — and it won’t be if you start it at 4:45 p.m. on your last day and don’t have time to reread it. 4. When you’re talking about your new endeavor, it’s a great time to let people know you’d welcome referrals/introductions. You can do that subtly, but simply saying “I’ll be a litigation partner at XYZ, focusing on cases regarding ABC and would welcome referrals or introductions” expresses some humility and plants the seed so that the next time someone is looking for that type of lawyer or the firm needs to send a case out due to conflicts, hopefully they’ll think of you. That’s the case even if you’re in sales of a competitor, or some other area. Asking for help, leads, introductions, etc., almost never hurts and could help you hit the ground running at the new position. 2. Resist the urge to be nasty. Even if you’re leaving on your own terms and for much better things, it can be so appealing to burn the bridge to the ground if you’re disgruntled, especially if you’re headed to another field. But you truly have no idea where people will be in 5 or 10 years or when you will need a reference. If you must, write the nasty farewell email from your personal email on your personal computer, send it only to yourself, and put it in your calendar to read it again in three months, six months, or a year. When you do, I bet the anger will be a distant memory and you’ll be glad you didn’t send — even to your one work buddy, and definitely not to the entire office. 3. Be careful about singling out too many people. If you want to do some individual thank yous, a thank you to your admin if you have one, or other unsung heroes who made your life easier is fine, but if you list a bunch of individuals, you’ll inevitably overlook someone. If you want to thank individual people, send them individual notes or messages. A woman I worked with left bamboo plants and personal notes on the desks of people she was especially thankful to on her last day. Before my last day at my day job before I went out on my own full-time, I spent 30 minutes every day for several days writing personal thank you notes to people with whom I worked and who made my life easier. I’m sure I still overlooked some people, but the two hours I spent on those notes allowed me to avoid listing half the office in my goodbye email while enabling me to reference personal inside jokes I didn’t want to include in my all-office farewell and to express my genuine gratitude more personally than in a mass email. 4. DON’T send it at 5:10 as you’re scrambling out the door on your last day. Send it earlier in the day so people can reply, you can save their kind responses, and you can be sure to send them LinkedIn requests and keep their email addresses. Finally, keep your goodbye email short and sweet. As you hit send, pat yourself on the back and relish that feeling of leaving as gracefully as possible as you head for the next chapter of your career! 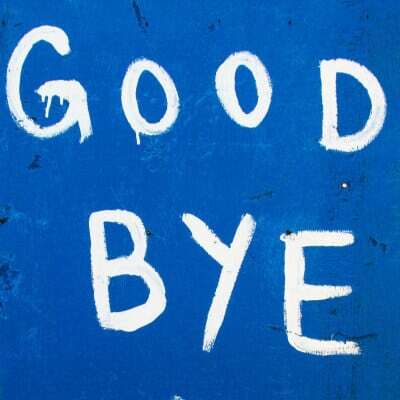 Readers, what are your best tips for what to say in your goodbye email? Do you remember seeing any epic goodbye emails — or wishing you had said something different in one of your own previous goodbye emails? If possible (you might need IT help or authorization), set the “reply to” email address for this message as your PERSONAL email address. Whenever I’ve sent such a message, inevitably 20 people reply directly rather than using the new contact info in the farewell…. forgetting that of course you’re no longer able to receive your office emails. Great point, Cat! Thank you! I thought the general rule of thumb for law firms is not to share where you are going if you are going to another law firm, and just tell people you want to know and let people discover it on LinkedIn. Is that outdated? I expect/hope to send one of these messages very soon! I did NOT even send an email when I left the subpeenie company. They knew I hated getting my tuchus pinched so the LAST thing I needed was to tell them so that they could give me a parting pinch or two. FOOEY on them. But if I were ever to leave, I would tell my coworkers where I was goeing and give them my email and phone numbers (home) so they could always get ahold of me. It is sad to leave a job but if you have to go, you do so and don’t look back. It is kind of like dumping a boyfreind. Painful, but you feel better after you do so. YAY!!!! Congratulations on your upcoming move! 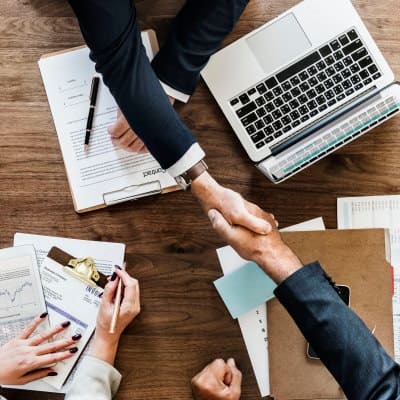 I think that is outdated advice these days, when your (soon-to-be former) colleagues can make introductions for you at your new firm, they’re going to find out anyway, and you’ll likely run into those former colleagues down the road so you don’t want to feel as though you snuck out or hid anything. As you note, they’ll find out from LinkedIn anyway, so I come down on the side of making it easy for them to find your new info in their emails if they have a case to refer out. All that said, it is a know your office situation — if people in your office don’t share where they’re headed, then it can make sense in that situation to bow to the practice. Congratulations again and I hope this post is helpful as you draft your email soon!